The University of Wisconsin-Milwaukee has created a page that is a real time-saver. They've taken data that you can find from the Census Bureau - if you had LOTS of available time - and the built a useful Web site around it. The aim of the site is to provide data on a) consumer purchasing power and b) a workforce overview. Data can be found for specific ZIP codes, metro areas, or Census tracts. Purchasing Power by Census Tracts for custom made printouts of purchasing power for 16 retail categories and data on the workforce population for any U.S. census tract. Purchasing Power by ZIP Code for data on retail expenditures for 16 consumer areas, retail and business establishments, and the available workforce for all residential zipcodes in the U.S.
Purchasing Power Rankings for Top 100 Metro Areas for ZIP code rankings of each of the 16 retail expenditure categories for the 100 largest metro areas. Free Geographic Databases for shapefiles and business, household, and workforce census databases to help map your area. Maps of Purchasing Power for Food-at-Home and Apparel to download free maps of purchasing power for the top 100 metro areas in the U.S.
Urban Markets Retail Sales Leakage/Surplus Drill Downs to show the difference between each metro neighborhood's purchasing power and estimated retail sales. (For those of you not familiar with your Census tract, you can find that out by entering a specific address at this site: http://factfinder.census.gov/servlet/AGSGeoAddressServlet?_lang=en&_programYear=50&_treeId=420). I've not fully investigated this site, but it's worth a look. Have you updated your info. in the Internal web site today? This week, after completing a question for a business advisor, I realized that I didn't have a mailing address for the new outreach office. (1) I quickly logged into the Internal web site but found no information. (2) Then, I called the main regional center and left a message. So, the package sat on my desk until the next day. I waited and waited, but still no call back. I couldn't call the business advisor himself because his original request was via e-mail and did not list the outreach office phone number. (3) Finally, in late afternoon of the second day, I called the main regional center again and was able to get the phone number and address, but not the ZIP code. I thought this was the last step, but I had to (4) call the outreach center to get the ZIP code. So, after 4 steps, I managed to get the package in the mail. The point of all of this is my plea for all of you to take a look at your center's information as well as your personal contact information in the Internal web site. If you can't get into the Internal web site (which all of you are allowed to at different levels of access), speak to your Center Director. Your contact information should be current at all times - address, phone number and e-mail address. Believe it or not, we here at Central use the Internal web site every day. You should, too. More of what not to do on your website including dead links, worn-out phrases and solid pages of text. A few points to consider when designing a web site while considering your audience. For your clients in all lines of business, not just service and retail. For all except the first article, you will have to register with BNET, but the registration is free. BusinessWeek has a great interview/book review on the importance of details to customer service. Author Michael Levine says that operational details, such as limited hours and dirty bathrooms send a message to customers about the general quality of a business. "The consumer mind has a logical and emotional part, and if you don't speak to both, you will lose them, especially when they're hungry, tired, angry, or lonely. "We're living in an age of anxiety. When people are not hungry, tired, angry, or lonely, the emotional side will win the debate with the logical part of the brain 80% of the time. When they're hungry, tired, angry, or lonely, emotion wins 100% of time. We are often hungry, tired, angry, or lonely, so it's exceedingly dangerous if you're a business to ignore the emotional part of the brain." What do the details of your operation look like? If they could use a tune-up, these BNET resources will help you get started. New customers are a delicate client sector virtually for any organization. Because they do not have a history with the company, they have no reason to be loyal-until, through excellent service, the company gives them one. Article discusses a study commissioned by Entergy, to learn how leading organizations define excellent customer service and achieve the high levels of service to new customers that lead to their retention. The scope of the study included discovering how "best-practice" organizations: optimize new customers' experiences, elevate first impressions, improve customer interface, provide beneficial new customer services, emphasize a focus on the customer, and follow up with new customers within six months to one year. The bigger the customer service department is the less efficient it is at serving customers. If management developed alternative solutions to customers' needs, some or all parts of the customer service department could be eliminated. Customer service departments would look very different than they do today if products showed up on time, employees did what was expected, orders were completed with precision and products rarely, if ever, failed. Marketing communications is shifting away from mass media toward an approach informed by deep audience knowledge. This places database marketing groups -- and the customer insight they have amassed -- into the organizational spotlight. But many of these groups play a service-focused role that hampers customer -centric communication. To help firms map out a vision, road map, and skills portfolio for customer-centric direct-to-consumer marketing, Forrester has developed a four -stage maturity model. Outstanding customer service requires several things: 1) a sincere and powerful commitment to serving customers and prospective customers at the highest possible level each and every time, 2) excellent people, 3) stringent expectations and policies regarding how customers are served along with a high level of accountability for enforcing those expectations and policies and 4) a discipline about serving customers consistently in manner that not only meets customer expectations, but often exceeds them. Achieving outstanding customer service means hard work and attention to detail as well. Over the summer, I heard from someone at the Brockport SBDC. She was helping in the creation of a center newsletter, to be distributed among past clients & other friends of the program. She was looking for any sources of royalty- or copyright-free articles on the Web. Both of these sites break down their content by subject, and both have a heading for "business". So if (or shall I say, when) you're pressed for time, check out these sites for possible content ideas. Two librarians of the Research Network attended a program on competitive intelligence last week. Speaker Ellen Reen discussed the importance of ethics in any research and analysis whether for your employer or your own business. First and foremost, the issue of ethics in competitive intelligence must be considered. Always clearly identify yourself prior to first person interviews and avoid conflict of interest. It is important to establish policies for your organization to prevent unethical or illegal practices. Further research into the Economic Espionage Act of 1996, the Society of Competitive Intelligence Professionals' Code of Ethics and Fuld's Ten Commandments can aid in developing standards for an organization. For example, the Economic Espionage Act of 1996 makes the theft or misappropriation of a trade secret a federal crime. If you or your employees conduct unethical or illegal activity, your business could be at risk. Ultimately, speaker Ellen Reen likes to ask, "How would this activity look on the front page?" or "What would my grandmother say?" Apparently more than 60% of small business owners feel that finding and retaining qualified staff is their number one problem. I poked around and found a few articles and books that summarize some of the issues and offer a few suggestions. Suggests researching what similar jobs pay in your area, particularly those with lowest pay, “if you don’t, these penny-conscious employees are sure to feel slighted, and you’ll quickly lose the most efficient ones.” Warner also suggests looking at workers with comparable skills within your own organization; pay should reflect the level of skill and responsibility of the person in the job. Consistency and fairness will encourage loyalty and trust. "If you're trying to achieve excellent levels of performance in your organization, it's going to be a lot easier if you hire terrific people in the first place." This article offers some tips on how to advertise, phone interviewing, and sorting through resumes and how to learn as much about an applicant as you can to ensure a good hire. Quick and dirty tips on making decisions about applicants and their potential as sales staff. One of the SBDC advisors called last week with a question. It happened that his client e-mailed him with a question about glass, but it didn't jibe with the rest of the question, which was about pottery and dinnerware. So he wrote back to the client and asked if perhaps she meant glassWARE; indeed, she did. The question is conveyed to the library and everybody's happy. Let's imagine if the advisor hadn't taken the initiative to clarify the query. The Research Network finds information about glass, sends it to the advisor, who passes it on to the client. The client is dissatisfied; that's NOT what she wanted. The beleaguered advisor has to contact the Research Network to ask them to redo that part of the question, which is frustrating to the librarian who wants to get it right the first time. It becomes a waste of time for all involved. Here's a good rule of thumb: If you get a question e-mailed or faxed to you, please read it to make sure it makes contextual sense to you. If the advisor working with the client doesn't understand the question, it's a good chance that the reference librarian won't understand it either. Once in a while, we'll get inquiries as to the names of venture capitalist firms that might be a potential source of financing for certain clients. To find them, we utilize a CD-ROM titled "Galante's Venture Capital & Private Equity Directory". It provides descriptions of thousands of VC firms either headquartered or with branch offices here in the U.S.
All CD-ROMs in our collection have their own quirks, requiring us to know their unique whims in order to get the most out of them. This one is no different. The funding stage at which the company is currently. In other words, does it need seed money, or is it a startup, or is it still in research & development? For what industry is the business seeking the funding? Galante's has 31 broad industry categories, including "Transportation," or "Medical Devices," or "Food Services/Products," and others. The amount of funding being sought. Several firms indicate a minimum and maximum amount that they'll consider investing. Usually, we'll limit for you those firms whose territory includes New York State. If that restricts the results too much, we'll expand the search to include a wider geography. When we get the results, we'll print out more detailed descriptions for each firm. Unfortunately, this resource doesn't allow for exporting results electronically. Hopefully, future versions will allow this. Advocacy of the U.S. Small Business Administration. Read the SBA press release, the research summary or the complete 30-page report (in PDF format). Here’s a list of organizations whose business it is to track standards from various bodies, covering many industries with their descriptions attached. New Orders for Manufactured Goods in August Increased $9.7 Billion Or 2.5 Percent to $395.2 Billion. (Released October 4, 2005). 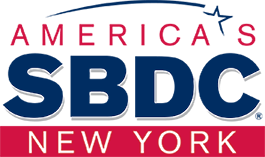 In the October issue of Grants Action News, the Department of State announced the availability of funding through the New York State Quality Communities Program which may be of interest to regional SBDCs. Under this program, funds are available for planning projects that revitalize downtowns, develop strong economies and protect environmental resources. Eligible applicants may apply for grants by submitting proposals that incorporate one or more of the following programs: Intermunicipal Growth, Community Growth, Community Open Space, Mountain Communities, and Community Center. ELIGIBILITY: Counties, towns, cities, villages, local public authorities, public benefit corporations, Indian tribes/nations, and not-for-profit corporations. FUNDING: Contact the Department of State for details. FOR MORE INFORMATION: Requests for applications and forms along with other pertinent information are available for downloading from the Quality Communities Clearinghouse Web site, www.qualitycommunities.org. Other information is available by calling (518) 473-3355 or by sending an e-mail to QC@dos.state.ny.us. From selling products online to selling relationships, businesses need to gain the trust of their customers. Whether they are buying a book or finding a roommate, the customer needs to know that their personal data is in safe hands. Especially for an older generation who are not at all comfortable with online retailing, our clients who are looking to this group as potential customers need to know how to address their fears. I am often surprised at vendors who offer no assurance of security on their websites and yet expect sales. Here are a few articles on the subject. Probably the best known name in ecommerce security, they offer a widening number of tools for the online business, from payment processing to database tools. You will also find a number of guides on their site explaining the issues facing ecommerce businesses like: What Every E-Business Should Know about SSL Security and Consumer Trust. Straight TalkingTo tell or not to tell? That's a no-brainer if you want to build credibility with your customers. “The goal of the ECommerce-Guide.com is to provide the single best source of independent, up-to-date information about electronic commerce. Our editorial content is 100% e-commerce - with everything including daily news, feature articles, product guides, case studies, an e-commerce events calendar, and e-commerce-focused discussion forums.” This site also reviews products – software and tools for the online business. Reverse logistics is the process of moving goods from their consumer destination for the purpose of capturing value, or proper disposal. It includes processing returned merchandise due to damage, seasonal inventory, restock, salvage, recalls and excess inventory, as well as packaging and shipping materials from the end user or reseller. Check out the main page cited above. You should also view a a 283 page report on Reverse Logistics trends. Advisors across the state are no stranger to clients who've developed a product that could be the Next Big Thing, if only they knew how to get it to market. Not long ago, the Research Network purchased a compact, 45-page primer on this very thing. It's called "The Complete Guide to Marketing and Launching a New Product," and was published in 2004. Its author, Matthew Yubas, has been a marketing consultant to small businesses for 20 years. Sections in the article are short and simple, providing tidbits on such things as how to price properly; how to brand the product; a launch checklist; using direct mail effectively; and others. Often the text will direct a reader to other sources for additional information. Again, this is a brief introduction to the methods of bringing a product to market, and likely reiterates information that you provide your clients during the consultation period. However, clients who are simply bewildered at where to begin, and how to organize themselves, should benefit greatly from reading this overview.